The blue energy cubes should currently be powering escalators, vending machines, planes, and “everything else,” according to citizens. NEW YORK—Expressing their disappointment and frustration at the current state of technology, citizens across the nation reported Thursday that they figured everything would run on some sort of cubes of blue energy by now. Americans of all ages and demographic groups explained to reporters that they thought the cubes would be “basically everywhere you looked at this point,” saying they could not understand why translucent, pulsating blue cubes of energy did not yet exist, and why they were not currently being used to power appliances, lighting, various modes of transportation, and all manner of personal electronics. “The cubes wouldn’t hurt people; they would help people,” Garcia continued. 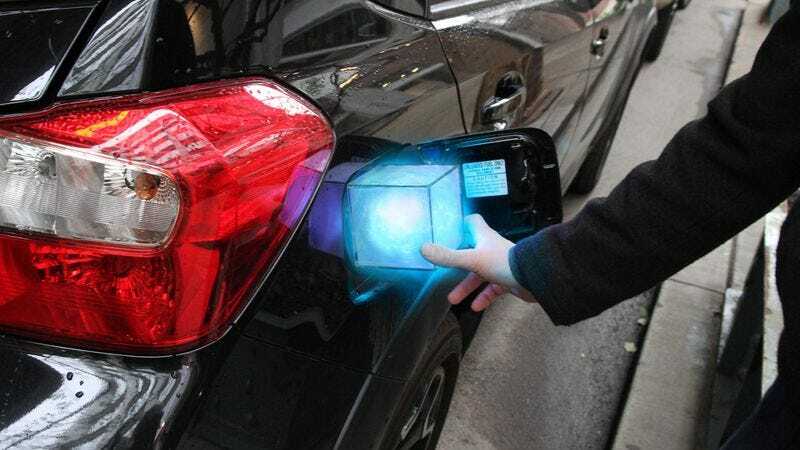 Additionally, many Americans surveyed said that the blue cubes of energy would be incredibly durable and would never break, even if they were dropped on the ground or a drink was accidentally spilled on them. But by far the biggest recurrent complaint reportedly stemming from the lack of blue cubes of energy was that further technological advances—namely “even faster” blue cubes of energy—were being held back due to the cubes not yet having been invented. “At this rate, we’ll never have the red, floating spheres that make you live forever,” Reston added.